No request is too big or too small for our team. If it matters to you, it matters to us. Let us make your trip perfect. There are many brokers in the aviation industry who will simply sell your flight to a licensed air carrier, meaning you do not know whose airplane you are actually riding on, how their pilots are trained, or how much insurance they carry. American Jet International IS a licensed air carrier. Our FAA Air Carrier Certificate Number is A8JA269Y. We directly own (or lease) our fleet, and employ our pilots, and we carry $100M in liability coverage to protect you and your associates. 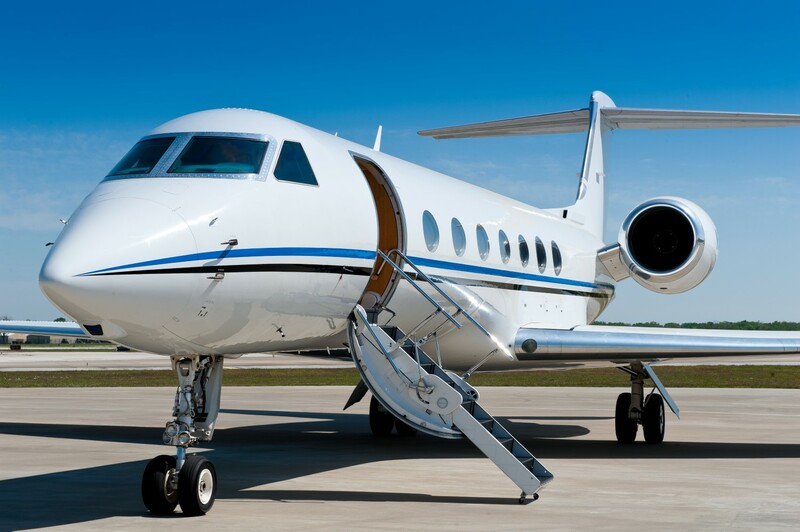 If you normally fly first class, flying privately will impress you. If you normally fly coach, you will be overwhelmed. Imagine being pre-screened by security before you leave home… Driving your car directly to the airplane, where the valet meets you and parks it… Arriving 5 minutes before takeoff… Never standing in line… Never having a lost bag… Controlling your schedule… These are only a few of the benefits associated with flying privately. seven of you leave the afternoon before, missing work and a night at home. Your meeting runs long, forcing you to stay in Chicago an extra night. Then your flight home is delayed, so you miss a third day in the office… What is the time of your company’s seven key people worth?Flying privately, you advise our Dispatch Center of the date, time, and location of your meeting in Chicago so that we can find the closest airport (it probably isn’t O’Hare International). You arrive at the airport at 6:25 am for a 6:30 liftoff. Onboard, you set up your laptops and privately review the details of your upcoming meeting in your office in the sky. You land in Chicago at 8:30, where a car and driver are waiting to drive you 20 minutes to your appointment. When your meeting is delayed, you call Dispatch to advise the team that instead of leaving at 6 pm you won’t make the airport until 7:30. Your private car takes you back to the airport where dinner is waiting onboard, the jet is fueled, and the crew is ready to have you home by 10 pm. Flying is about one thing – saving time. Domestically, the airlines serve about 500 airports. We serve over 5,000. Internationally, the airlines serve about 3,000 airports. We can fly into over 17,000. From Barrow to Buenos Aires, or Paris to Papua New Guinea, American Jet International can take you there. 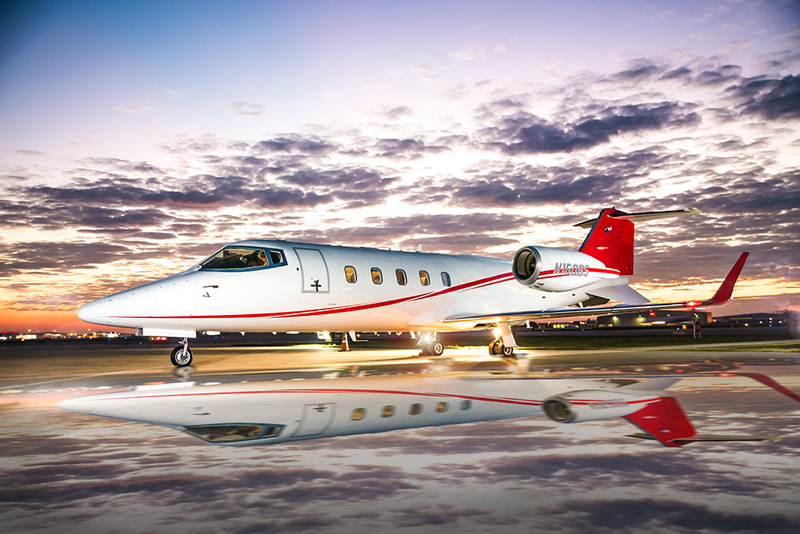 American Jet International offers first class charter and aircraft management. Our around the clock flight coordinators and professional flight crews are at your service. You can be assured a comfortable, safe flight with our experienced simulator-trained pilots, factory trained maintenance staff, and excellent safety record. We understand your relaxation is priceless. American Jet International can help you make the most of your valuable time by flying you, your family and friends to destinations of your choice, anywhere in the world. Plus, if your plans change, your aircraft is always available for alternate destinations or unplanned departures. You say when and where, and we can take you there.